Once per turn, by discarding 1 card from your hand, look at your opponent's hand and select 1 Monster Card in it. If you control a monster with ATK greater than or equal to the ATK of the selected Mon..
Once per turn, you can select 1 face-up monster on your opponent controls. 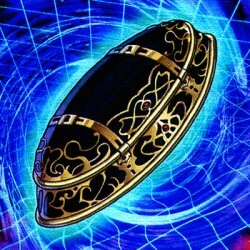 While you control this face-up card, until the end of this turn this card's name is treated as the selected monster's name, a..
"Elemental Hero Neos" + "Neo-Spacian Aqua Dolphin" This card can only be Special Summoned from your Fusion Deck by returning the above cards from your side of the field to the Deck. (You do not use "P..
"Elemental Hero Neos" + "Neo-Spacian Flare Scarab" This card can only be Special Summoned from your Fusion Deck by returning the above cards from your side of the field to the Deck. (You do not use "P..
"Elemental Hero Neos" + "Neo-Spacian Dark Panther" This card can only be Special Summoned from your Fusion Deck by returning the above cards from your side of the field to the Deck. (You do not use "P..